This app works with the TomTom CURFER adapter. Get yours at tomtom.com/curfer. 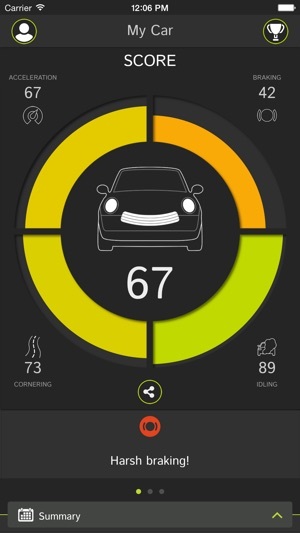 TomTom CURFER plugs into your car's OBD port, links to your smartphone and gives you instant feedback on both your driving technique and your car's performance. It can even help you find where you parked your car. Get coaching tips on acceleration, braking, cornering and idling. Earn badges for your skills and share scores with friends. Want to know how far you've driven around the world? The CURFER app can tell you that too. Drive smart while having fun. 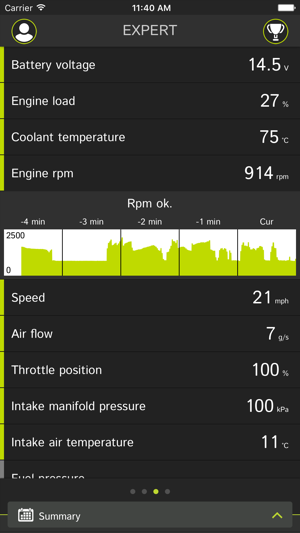 - Get instant feedback on your acceleration, cornering, braking and idling. Review each trip on an interactive map to check your performance. - See detailed data on your car's battery voltage, oil temperature, engine load and much more. - Choose from a variety of car data to review per trip such as speed, engine RPM, tank fuel level and more. 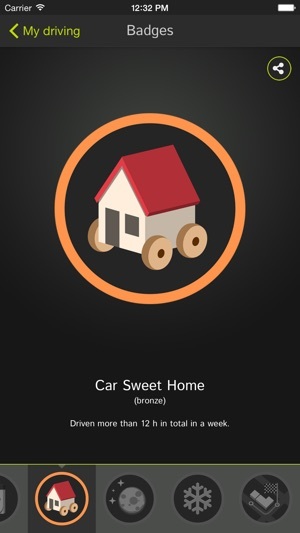 - Earn badges that represent your unique driving style. 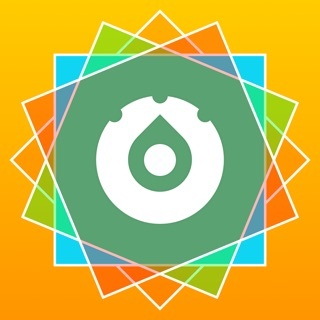 Share your badges and statistics with friends via email or social media. An in-app guide will lead you through the quick and easy 3-step installation process. Download the app, select your car and you’ll get specific instructions on where to find your car’s OBD port. Plug in the TomTom CURFER to finalize the setup and connect to your smartphone. The TomTom CURFER OBD dongle works for most passenger cars built after 2004. 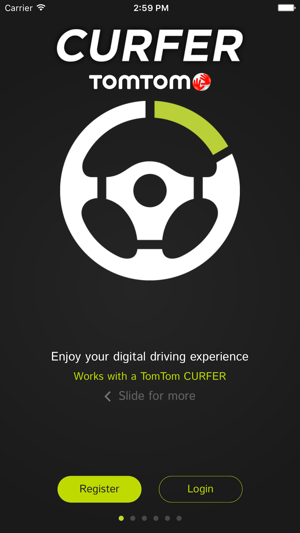 Check the compatibility of your car and order your TomTom CURFER on tomtom.com/curfer. The compatibility checker only includes the cars we’ve tested and is not exhaustive. We will continue to expand the list as we test more models. To use the CURFER app, at least an iPhone 4S with iOS 8.3 and mobile Internet are required. Since the version 1.5.3 the app it is continuously crashing if the phone is not connected to internet. Contacted the support, did everything they asked and same thing is happening. Not reliable if no data plan available. Seems to have stopped recording the distance although it is shown on the map ? Needs updating for the iPhone X screen resolution though. © 2016 TomTom Telematics B.V.